A perfect blend of aesthetics and functionality comprising of eco wood-shaving walls, timber floors, discrete mood lighting, traditional handicrafts, custom made soak tubs placed in the curtained off space between the bathroom and room and an electronic safe assuring safety of your valuables. 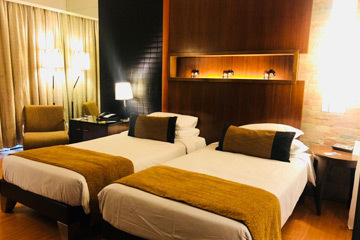 Lavishly supplied suites with a tea & coffee maker, iron & ironing board, hair dryer and luxurious herb ranges to redefine the tranquil moments of a relaxing stay. 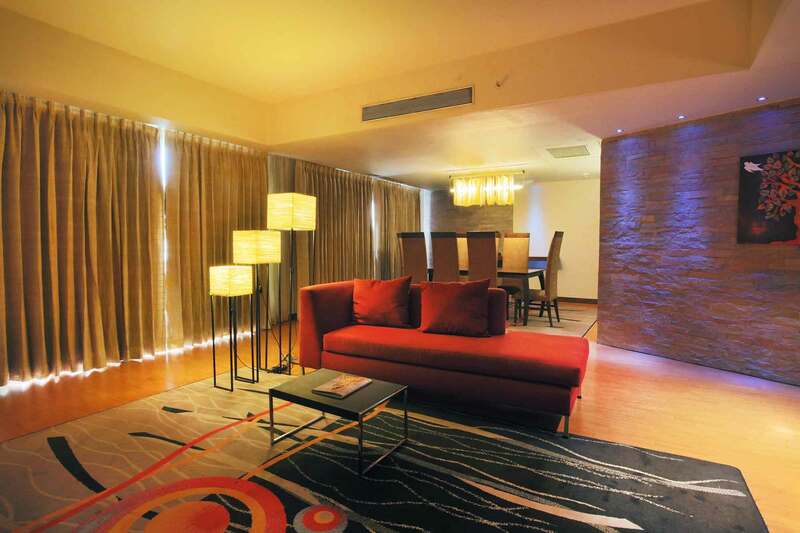 Spacious 400 square foot Deluxe Rooms cater to your comfort to the fullest. 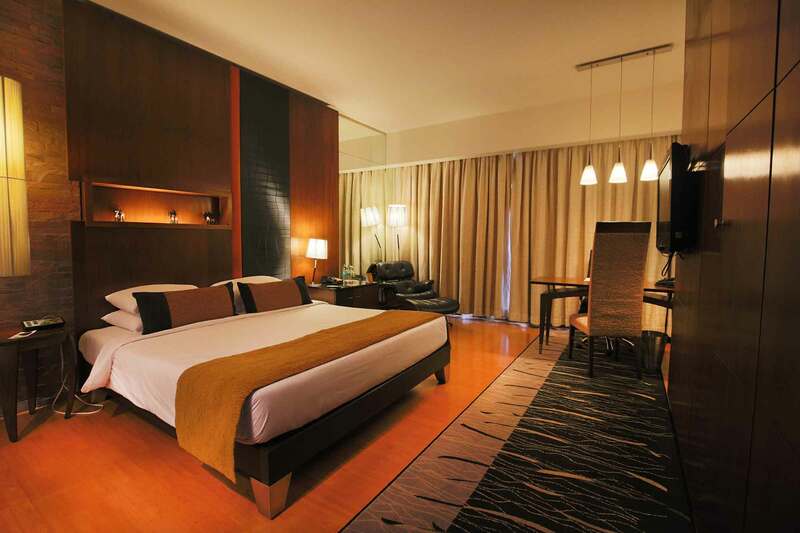 Luxurious & spacious room with King Bed and seating arrangement. Apprx. 550 Sq ft. 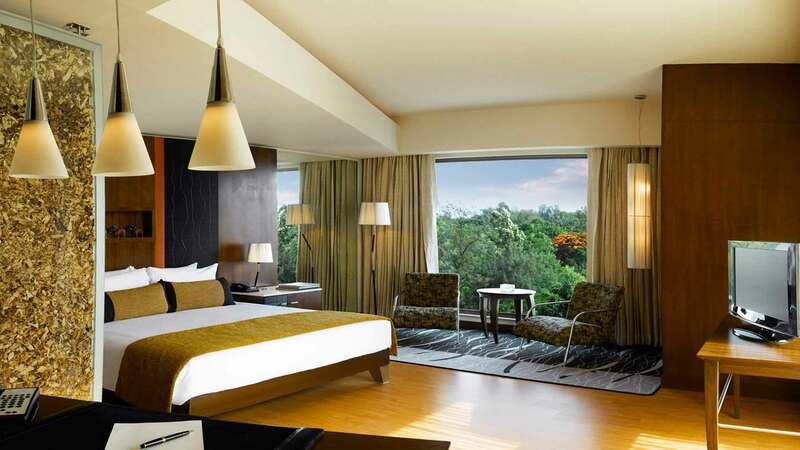 The presidential suite, overlooks the lush green canopy of Koregaon Park for those who relish splendid contemporary luxury. Apprx. 1375 Sq.ft.